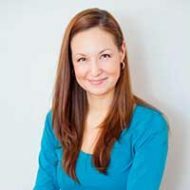 A graduate of one of the top leading schools in massage therapy, Sutherland Chan, Kynsi has an extensive background in a variety of massage techniques including Swedish massage, relaxation, sports injury therapy, myofascial release, deep tissue massage and prenatal/postnatal massage; just to name a few. Kynsi has been involved with health and fitness her entire life and understands the importance of keeping your body at its fittest, which is one of the main reasons she chose massage therapy as a profession. Kynsi furthered her training by becoming a birthing Doula. She loves being able to help the mother and her partner have the best birthing experience possible.